It’s been a banner year for Vermont’s ski areas and — and it hasn’t ended for some of the biggest resorts. 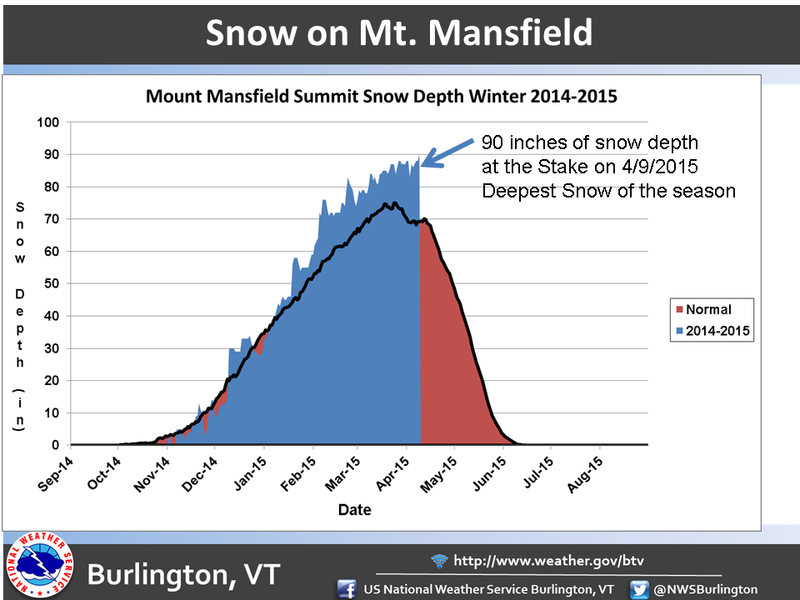 Ski Vermont reports that with seven- and-a-half feet of snow remaining on the state’s highest peak, the largest resorts are staying open. The lack of a mid-winter thaw this year laid the groundwork for a strong and long ski season. Ski Vermont, the trade association for resorts across the state, has not yet compiled the data on this season’s number of skier visits, but it is touting the volume of snow that fell. Spokesperson Sarah Wojcik reports an average of 240 inches fell on Vermont’s mountains this year and much of it still on the ground. She points to the snow stake used by the National Weather Service on Mount Mansfield, the highest mountain in Vermont. It read 7 ½ feet as of April 9th, a record amount for the season and far above the seasonal average. Last year Vermont saw 4.5 million skiier visits. Ski Vermont says initial reports indicate visits this season are better or on par with last year. For most, warmer temperatures cannot come soon enough after a frigid winter. That’s even true for ski resorts. 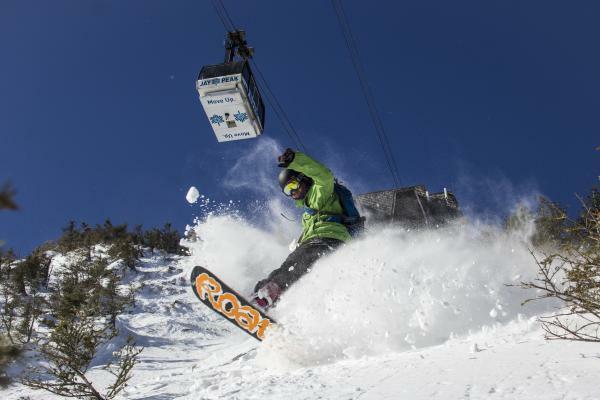 With New England buried in snow, ski resorts are expecting skiers and riders to flock to the mountains of Vermont, New Hampshire and Maine for rare powder as the region heads into the mid-winter school break, a prime tourism draw. New York officials have announced that two state-owned ski centers will open on Sunday.